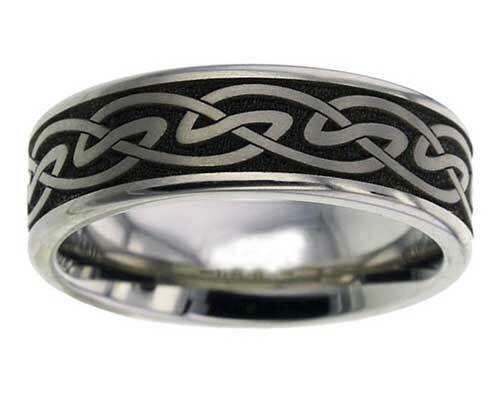 Bold Celtic Pattern Titanium Ring : LOVE2HAVE in the UK! As this ring is titanium, it will wear very well for a wedding ring. The engraved surface itself is quite textured, therefore adding to the ancient Celtic symbolism depicted. The ring's width is 7mm, and it is available in a satin or polished finish.